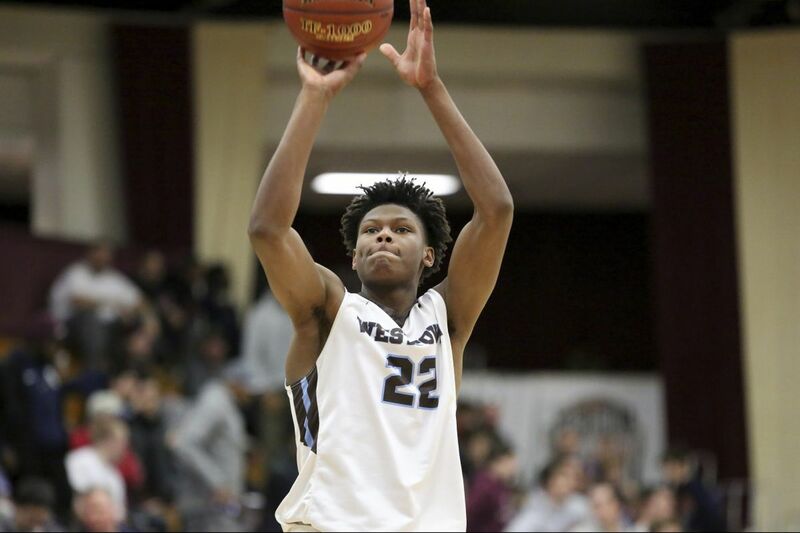 Duke signee Cameron Reddish had 25 points and five rebounds as the Westtown boys’ basketball team fell to Florida’s IMG Academy, 75-71, in the Spalding Hoophall Classic on Monday. Duke signee Cameron Reddish had 25 points and five rebounds as the Westtown boys' basketball team fell to Florida's IMG Academy, 75-71, in the Spalding Hoophall Classic on Monday. Jake Forrester added 14 points for the Moose. Josh Green paced IMG Academy with 20 points, eight rebounds, and five assists. Taliq Robbins notched 16 points and eight rebounds as Archbishop Ryan held off West Catholic, 58-56. Amin Bryant ended with 11 points, nine rebounds, and seven assists. Robert Smith Jr. led with 14 points as Bishop McDevitt took down West Philadelphia, 65-59, in the MLK Day Basketball Classic. The Lancers improved to 10-2 on the season. Isaac Marshall and Devin Bryant scored 29 and 23 points, respectively, as Academy of the New Church rolled to an 82-47 victory over Palumbo. Walter Hester had 26 points, seven rebounds, and three steals as Paul Robeson defeated Parkway Center City, 76-48. Audenried's Denijsha Wilson scored 45 points to set the school's single-game scoring record in a 69-16 win over First State Military Academy. The previous record was 42 points. Paige Lauder recorded 21 points and 12 rebounds in Villa Maria's 76-56 victory over Coatesville.